Great Scott! It’s here! The day everyone who grew up in the ’80s has been waiting for. Today is October 21, 2015. 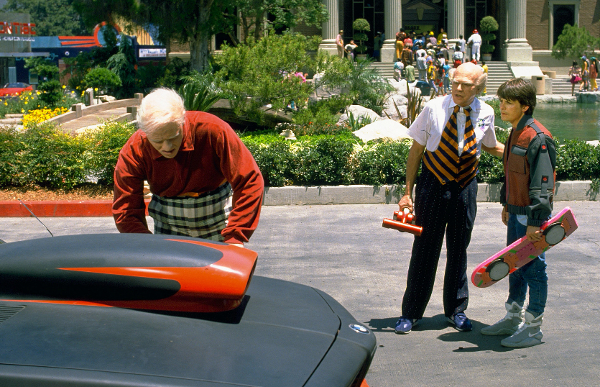 Hoverboards or no hoverboards, it’s Back to the Future Day. Our lives have finally caught up to the movie trilogy. 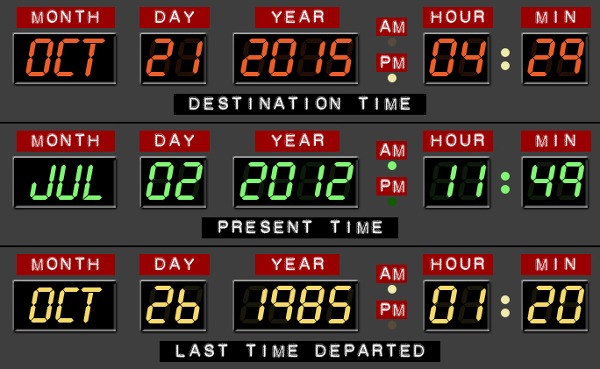 It’s the day where Doc, Marty and Jennifer arrive from our past, taking the 1985 couple 30 years into their own future. The day isn’t going to McFly by without some fanfare – there’s parties to celebrate and one couple, due to have a baby on Back to the Future date, have committed to calling their newborn Emmett or Marty after the show’s main characters. In a Melbourne basement, arcade bar Bartronica is having a Back to the Future Day party with cocktails inspired by iconic ’80s culture, complete with Tetris-shaped ice cubes. Back to the Future commemorative T-shirts have popped up for sale all over the internet and expectant parents will make the ultimate film tribute by naming their baby Emmett or Marty – all because their Facebook page had more than 21,103 ‘likes’. I just hope baby Emmett or Marty appreciates his or her father’s love for ’80s movie culture. I’m giving away my age here, but I found myself more than a little excited when visiting the film trilogy’s ‘Hill Valley’ clocktower during a backlot tour of Universal Studios, Hollywood. It’s just a movie set, sure. But without it Marty McFly and the DeLorean would have never been able to get back to the future. Don’t remember the movie? Here’s a little refresher for you.